Hi! My name is Andrew Saladino, and I'm a filmmaker and freelance editor based in Dallas, TX. The Royal Ocean Film Society is a film essay series I've been working on since the beginning of 2016, with the express goal of nurturing a higher level of discourse about all things cinema. We talk about it all here- directing, writing, cinematography, animation- all things inside of and related to film form, in a way that's (hopefully) simultaneously educational and entertaining. My basic goal is two videos a month, but that's entirely dependent on the amount of research, writing, and editing a given video takes. For instance, my Saul Bass profile took about 50 hours of work, start to finish, whereas my video on Jacques Tati's visual comedy took about 150 hours. Right now, I'm only able to concentrate on the series part-time, and while I have been able to generate some income from sponsorships, it's not enough for me to work on the videos full-time. With your support, I'll be able to make my dream of having this series be my main focus a reality. Every dollar donated will go directly into helping me cultivate and curate a community where we can all learn how to be better filmmakers and viewers. As a Film Society Member, you'll have early access to every upcoming video, along with exclusive discussions, debates, reviews, and behind the scenes features only available here on Patreon. I'm also offering coffee mugs at a higher level of patronage, but supply is limited! (However, that's only temporary and I fully expect to re-stock as demand sees fit-- and to offer a wider variety of rewards in the future). I have had the time of my life making these videos, and I'd love nothing more than to continue going for as long as I can. All of you who've watched, enjoyed, shared, liked, and commented all have my humblest thanks- regardless of whether or not you're able to donate. Cheers, folks! You have my absolute humblest thanks for donating, and the option to see which film or topic I'll be discussing in my next video. As a Film Society Member, you'll have access to exclusive bonus content - early access to every upcoming video, behind the scenes features, discussions, reviews, Q&As, and more! 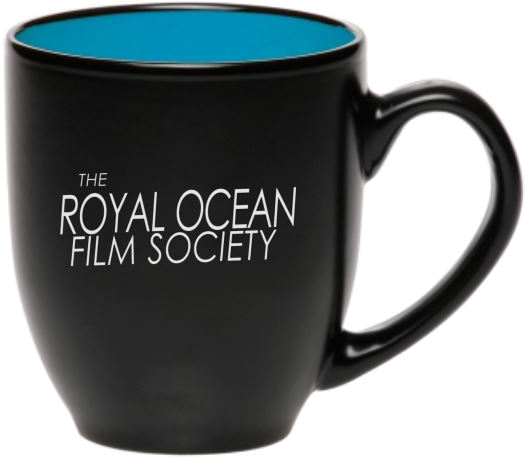 Film Society Member-status plus a Royal Ocean coffee mug (mug will be delivered after two months of patronage). If only 500 people (which isn't even a full 1% of my subscribers on YouTube) donate at the lowest membership tier, I'll be able to go full-time with the series - which would be just about the coolest thing since sliced bread.